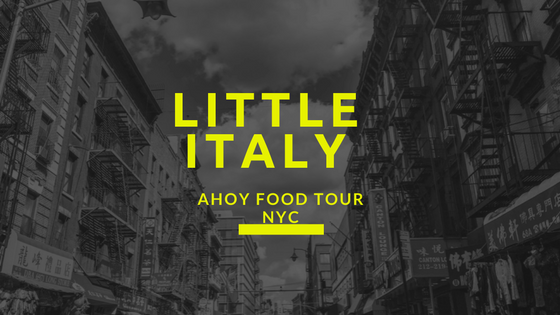 Home > Food > Food tour by Ahoy New York Tours : Little Italy and China Town. When it comes to international cuisine, New York can’t be beat! The best way to try everything (and I mean EVERYTHING) is to take a food tour. 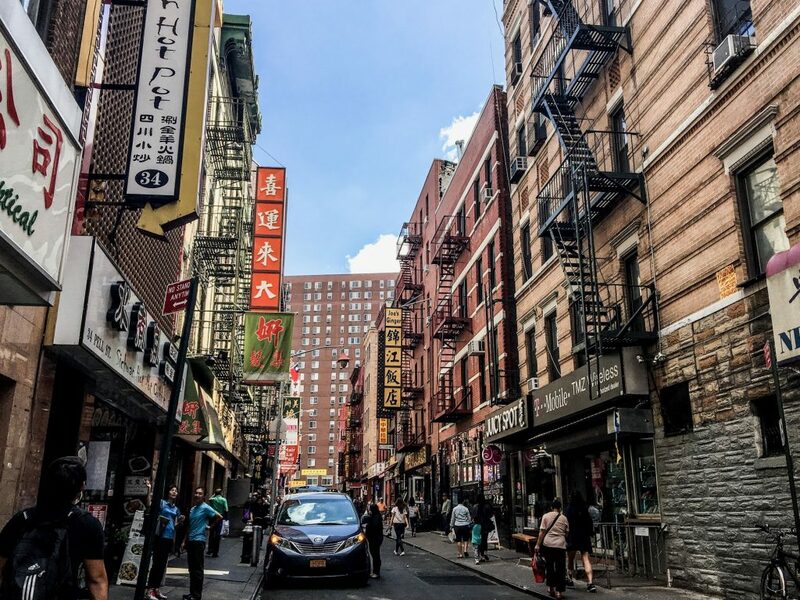 On my trip to New York City, I took the Little Italy and Chinatown food tour by Ahoy New York Tours. Here’s what I got to sample. 1.) 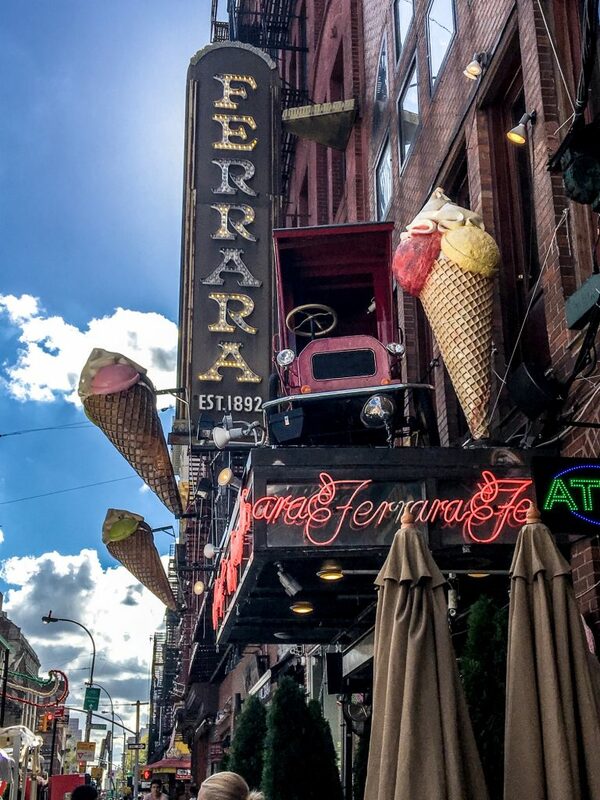 Ferrara Bakery and Café is the first stop on Ahoy New York’s food tour. This Italian pastry restaurant started as a gentlemen’s club and expresso bar over a century ago. Fortunately, it became so popular for its gastronomical offerings that it eventually became the restaurant we know and love today. You can still grab a cup of expresso, though, just as you could when it opened in 1892. My top recommendation is the Cannoli—it’s to die for. It’s an explosion of ricotta cheese, candied fruits, chocolate chips, vanilla, and tons of powdered sugar. It’s like a party in your mouth! 2. Alleva. The next place Ahoy takes you will keep your Italian momentum going. Alleva’s claim to fame is that it is literally the oldest running cheese shop in all of the United States! Anything that’s been around that long has to be good, and let me tell you—it is. As we munched on cheese samples, our tour guide shared the story of mozzarella with us. Apparently, the invention of this delicious cheese was actually an accident. Of course, it turned out so good people kept buying and eating it! We had our share of mozzarella at Alleva. The best cheese we tried (in my opinion) was the ricotta mozarelle. The procuito was pretty good, too. 4. Di Palo Fine Food is like a more modern Alleva. There are two fabulous things about this place. First, the food is really, really good. They have everything Italian; you name and they’ve got it. 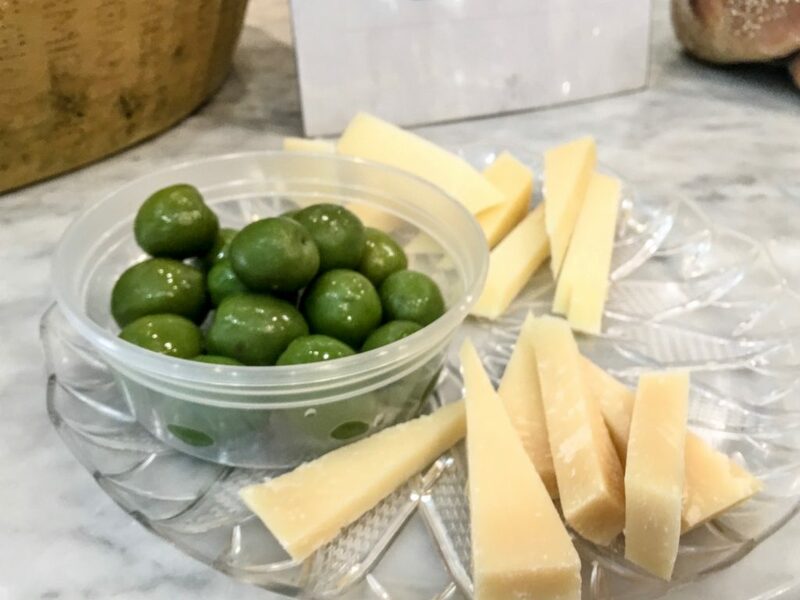 We tried piave, which is sort of like parmegiano reggiano, but lighter. It’s still good, despite the calorie cut. Which is always a bonus. We also tasted moliterno, sheep’s milk cheese. It reminded me of goat cheese. It was good but I still think cows make the best dairy products. We also had a few of their olives, which were good enough that even the non-olive eaters in our group tried them. The second great thing about Di Palo is their customer service. It doesn’t matter how long the line is—if you are the customer in front of them, they will serve you like you’re the only one in the restaurant. They get to know you and tend to you really well. It was an all-around great experience. 5. Nom Wah Tea Parlor. This place dates way back to the 1920s, and it still has that nice vintage feel to it. It’s mostly about the drinks—tea, wine, beer, whatever you’re looking for—but the food isn’t half bad, either. We tried a few things. 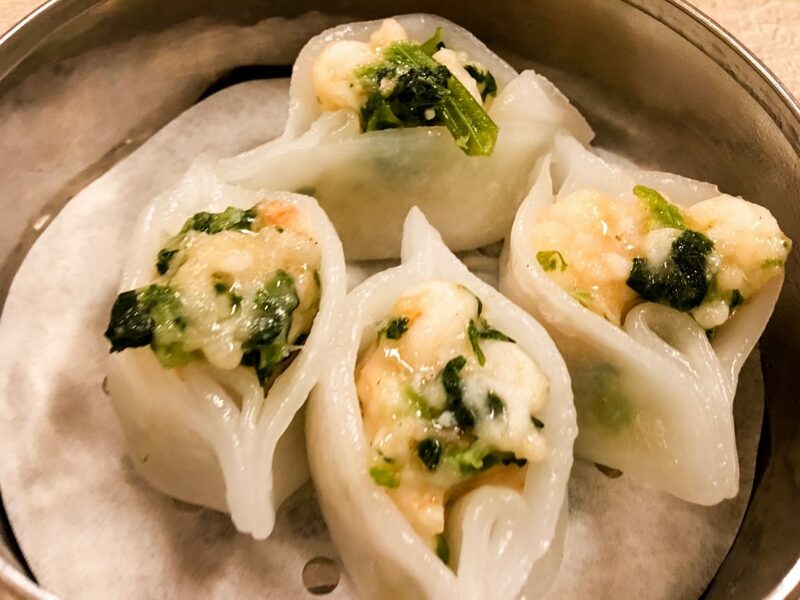 We started with siopao and egg wraps, and then finished it off with steamed shrimp dimsum. It was so good. 6. Tasty Dumplings. Everything on the Ahoy New York food tour was great, but Tasty Dumplings gave me my “OMG I LOVE THIS” moment. It’s pretty cheap, too. You can get pork and chives at $1.25 for 5. It’s so good, that there’s always a line up of people waiting for them. If you want to bring home some, there is a bag of 50 for $9. Your money goes super far in Chinatown. 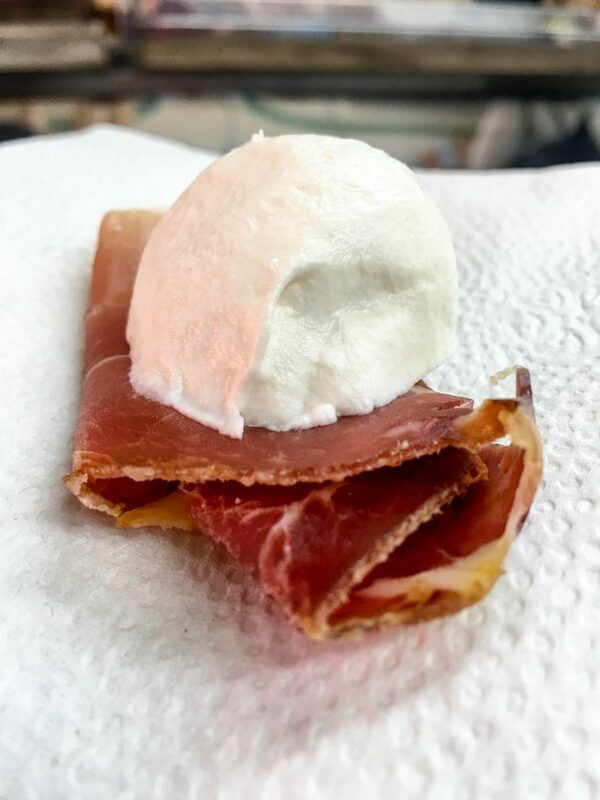 I’ve done a lot of food tours, and this one really stood out. For one thing, we were mostly standing! In every restaurant except for Ferrara Bakery & Café and Nom Wah Tea House, we stood while we ate. So when you go, be prepared to be on your feet a lot. There’s actually not a whole lot of walking, since most of the places in the tour are within a single block, but the standing makes up for it. Another thing that stands out about this tour is that the quantity is perfect. The servings were just right. At the end, I felt full but not stuffed. Sometimes I come out of these things feeling pretty gross. This one, though, gave a great variety and a good quantity. Chinatown can get pretty confusing with all the turns and right corners, but this tour seemed to unravel the area a bit for me. 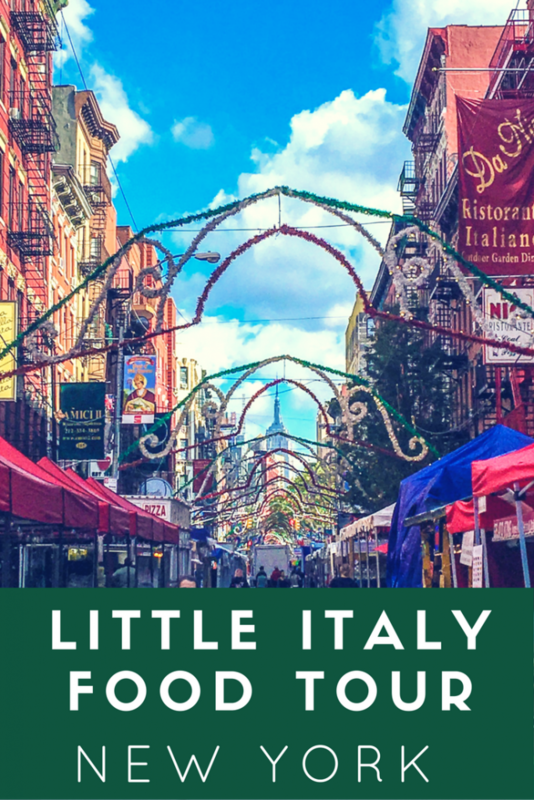 I learned a lot of history and culture about both Chinatown and Little Italy. Everything about the tour was really wonderful! I’d rate it a must-try activity for the area. Looks delicious! I’m a huge fan of dumplings and would so love to visit this Chinatown! Food tours are the best! It’s a great way to experience the flavors of different cultures, and by the end of it, you are absolutely stuffed with nom noms. This looks like a great tour and all the food looks yummy. I will keep this tour in mind if I am ever in the area. 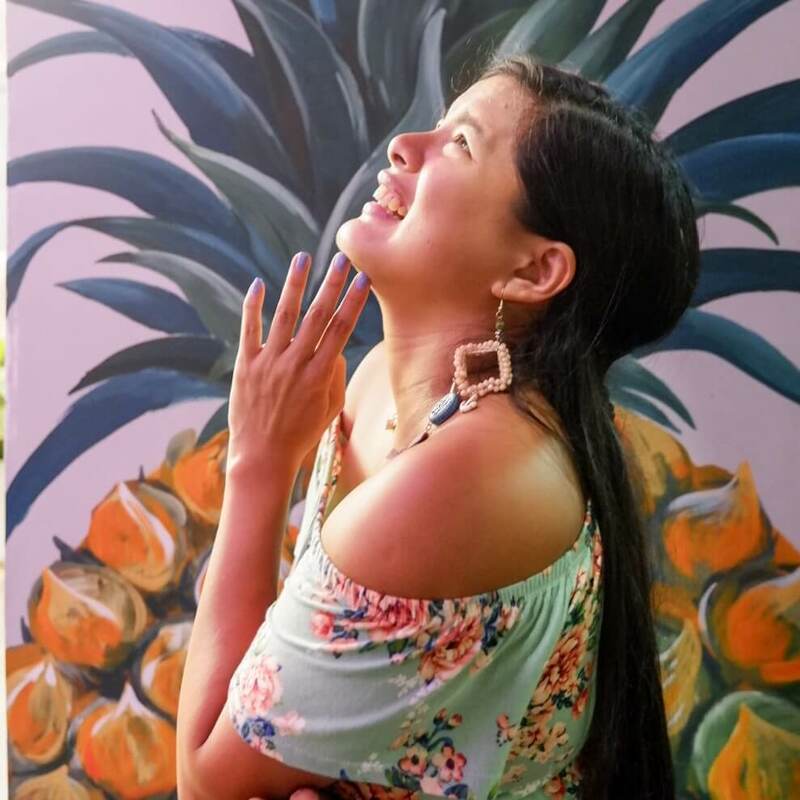 I love food tours! This one looks so good. Especially because I love Italian food, cheese….Chinese food….all food. I would so love to go on one of these tours. I have been to NYC and the food is fabulous. A food tour would be perfect for me. I would love to go on a food tour like this. I have been to NYC and the food is fabulous. This would be perfect for me. 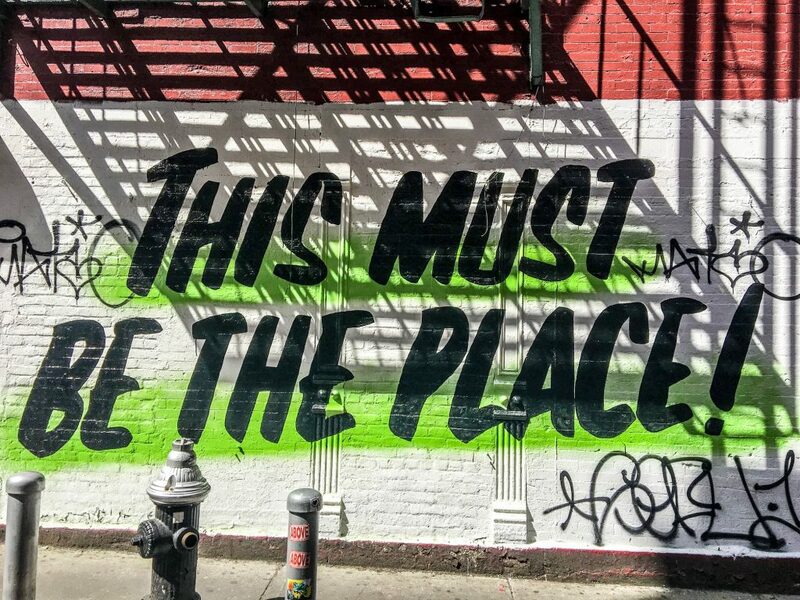 New York has some of the best food in the country, so a tour like this would be awesome! Those classic Italian pastries are my absolute favorites. 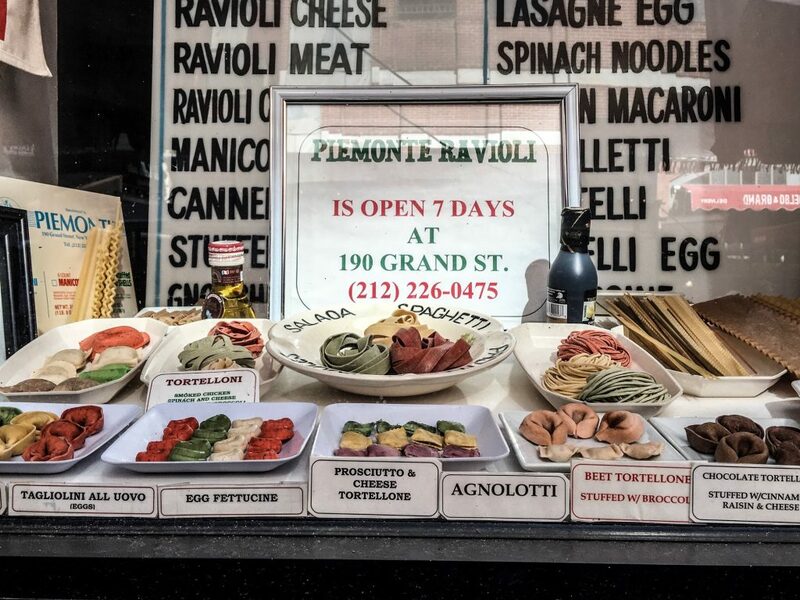 I have never been on a food tour, but I would so love to go on one in NY some day. Fun little tidbit about the mozzarella. Some of the best things in life were discovered by accident. I think cereal was also one of those happy accidents too. 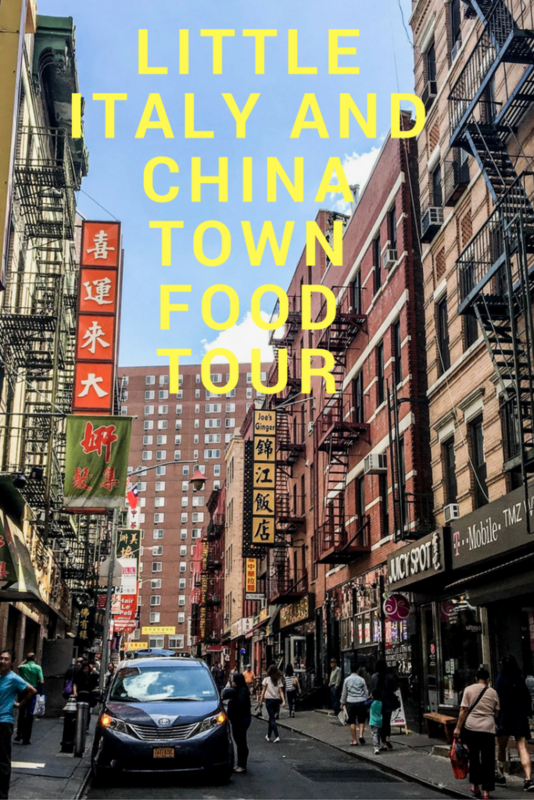 I live in NYC and I can’t believe I never knew about this FOOD tour- totally booking like ASAP! your foodie pictures are making my mouth WATER!!! Oh believe me, NYC food tours are the best. You learn a lot from them plus you get to sample really good dishes. I’ve never been in China and Italy! I’m pretty sure that these places are beautiful, and had fantastic foods. It’s in New york but they just called it China Town and Little Italy. I would love to go on a tour like this. I love NYC and would love to live there. I will have to check out the tours for my next trip. This tour looks great! I love anything where I can eat a lot of food lol! It looks like you a great time! I live in Brooklyn and these are 2 of my favorite places to go in NYC. The food alone is worth the trip.